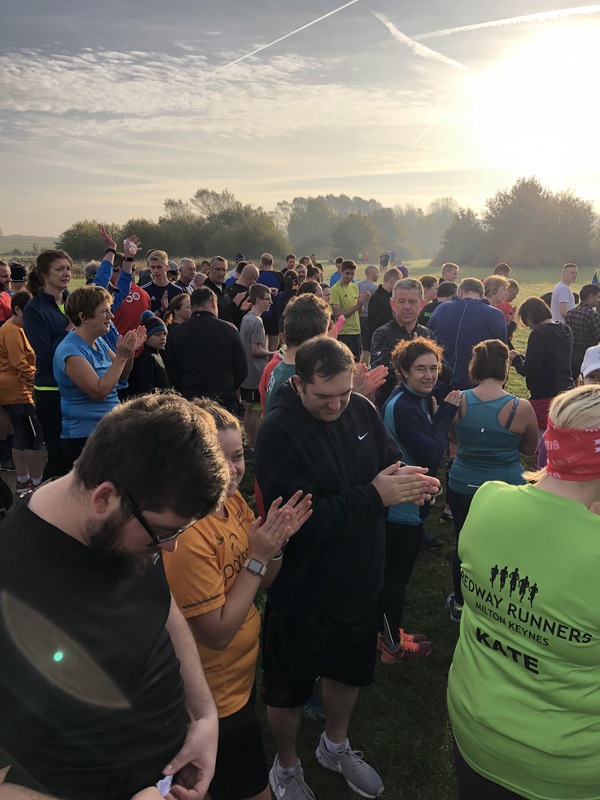 I continued in my quest to find my running mojo through parkrun tourism last weekend at Aylesbury. It’s pretty local to me and I’d heard it was a fast course so was feeling pretty good about it. Two of our little tourist crew were away so it was just me and P this week, he’d been training for a marathon the next day so offered to run with me. It was a very cold morning but the sun was shining down on us. I hate that feeling of holding people back so wasn’t keen on the idea but he stuck with me for most of the first mile until I nagged him to ‘bugger off’ and he went and did his own thing. 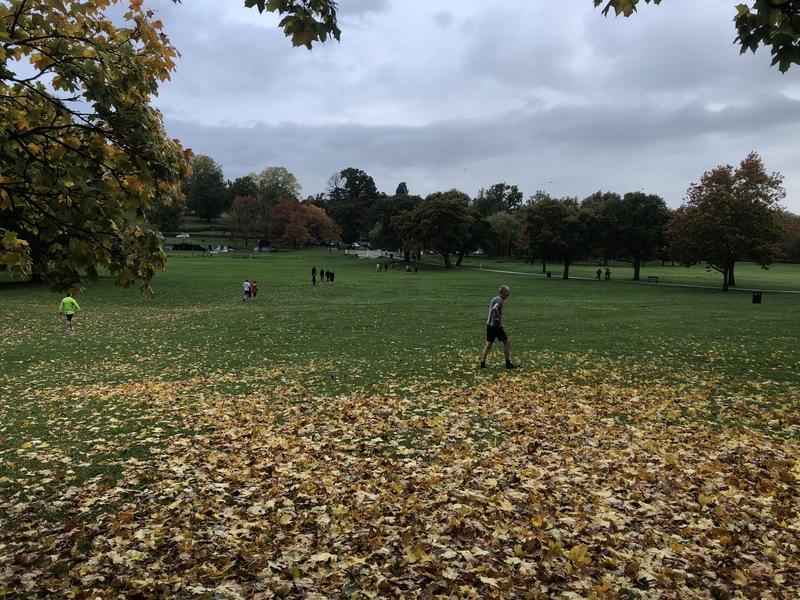 It was a pretty busy course, about 250 runners and the first section is on quite a narrow path so difficult to get spaced out until a few 100 meters in. The course is a lollipop, something I hadn’t done before so despite a few runner friends commenting that it was a boring one, I actually quite liked it! There were a couple of bridges along the route which broke it up nicely and some wonderful marshals including a young addition who’s made a sign to cheer us on. 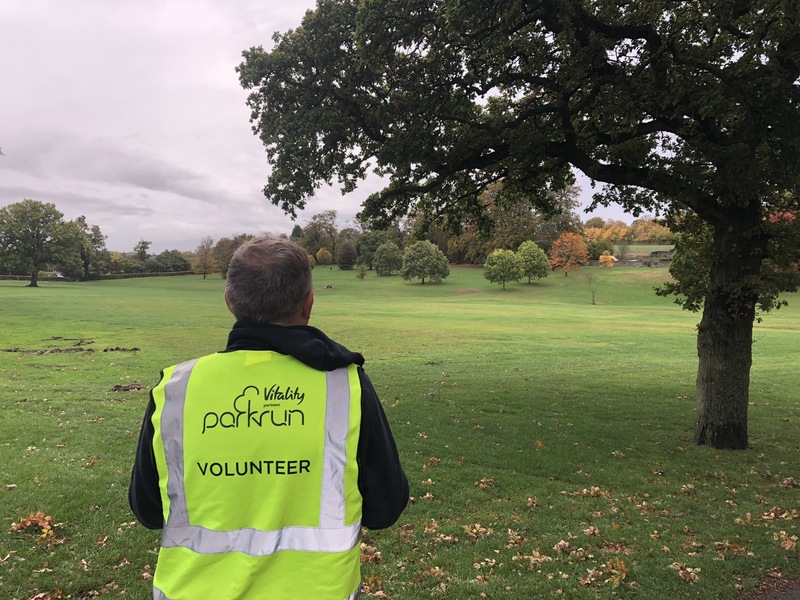 A very well organised parkrun and great team. I didn’t pay too much attention to the watch this time and tried my best to run on feel. P had obviously set me off on a reasonably good pace and it all must have come together on the day because it’s the first run I’ve done in a very long time which hasn’t involved a walk break! 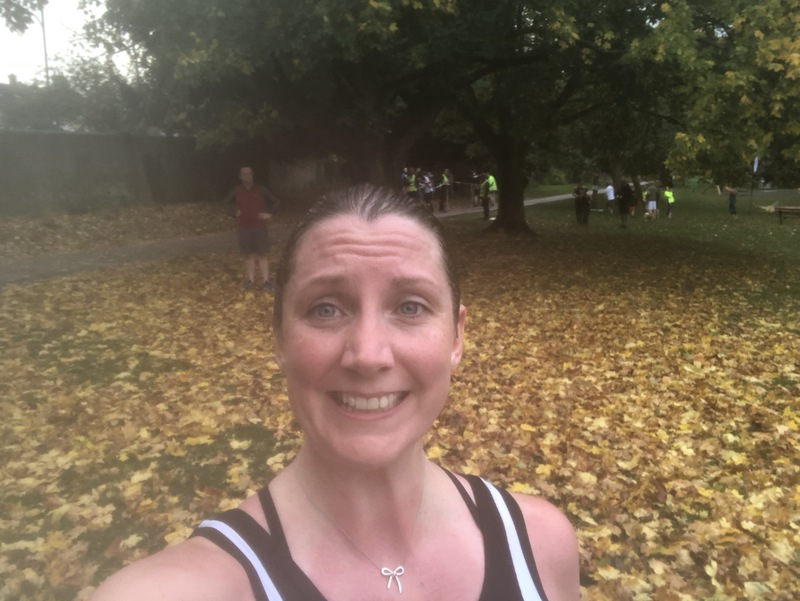 I ran the whole thing, even had negative splits and ran the fastest 5k I’ve done for AGES – a sub 30!! Was very, very pleased with that! The rest of my running week hasn’t quite gone as smoothly, a club run on Tuesday night in the 10 min mile group was a big fat fail as my legs felt like lead and I cut it short at 3 miles rather than carrying on for 5. I knew when I left the house I wasn’t feeling up to it so maybe it was psychological or maybe I should just listen to my body more. Anyway, tomorrow brings another tourist run, something new that will hopefully make it exciting enough to kick that mojo into gear and a one lapper this time with the whole tourist crew and a special guest appearance from G! Hurrah! It’s been a big couple of weeks in my training plan as I’ve now hit the big weekend runs that are further than I’ve ever run before. I’m always looking to push myself out of my comfort zone and I definitely did that! I don’t think I was quite prepared for the jump to double digit mileage – it seemed like a gradual step up but it was certainly challenging. I’d run a 10.5 mile before but when I say run, it was with some of my fellow club ladies and the dogs and there was lots of chatter and a few stops along the way (I think we averaged about 15min miles) so didn’t really count that as a proper run. One of my running buddies, who is significantly more experienced than me and a regular half marathoner, volunteered to keep me company and we set off for a 10 mile out and back along the canal. We’d planned that route as it is pretty flat but one thing we couldn’t plan for was the weather. We battled gale force winds and rain and it made it a whole lot harder than it needed to be. Dan kept me going though despite my swearing (sorry mum) and complaining all the way round. It was all going as well as could be expected until about 8 miles in when my body just refused to run anymore – it was my first experience of hitting a wall. I think the extreme weather got the better of me and even though we’d only run 8 miles I think the effort against wind equated to running a lot more than that! After a little walk, I managed to carry on for the last two miles and finished the 10 in a reasonably respectable 1hr 49mins. So this weekend, I was thinking, it couldn’t be any worse for my 12 mile run right? I’d arranged to meet a fellow club runner who was unfortunately unwell so I was actually really nervous about heading out for my longest ever run on my lonesome and to top it off, the sun decided to come out and make it the hottest day of the year so far. 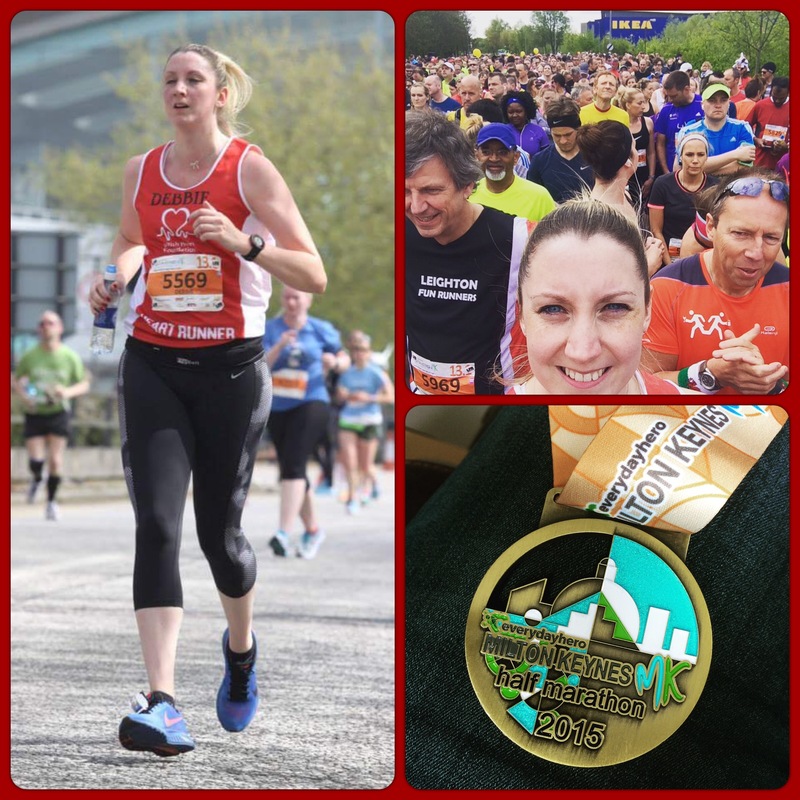 Last summer, I really struggled with the heat having just come back from injury and being very new to running so I was interested to see how I’d cope with the 20 degree heat. Instead of an out and back, I planned a loop around the town so I wasn’t too far from home just in case (!) and I also took along a gel that a fellow club member had very kindly given me to try. 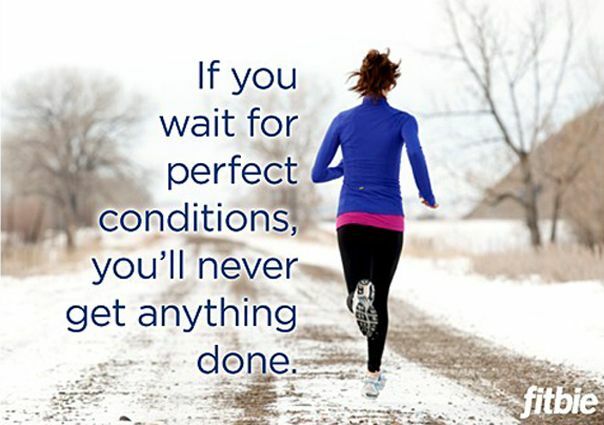 The first 6 miles was great, I really enjoyed the run and the weather didn’t seem to be bothering me too much. I had broken the run down into four sections and at 6.5 I had completed the first two. I decided to try the gel at this point as I’d been running about an hour. The ones I used were the SiS GO Isotonic Gels – they are pretty thick and gloopy but being the first one I’d tried, I imagine they are probably all like that. I have heard that quite often, runners find that gels upset their stomach quite a lot so I was a bit hesitant but all was good. After completing section 3, I was left with the final 2 miles. 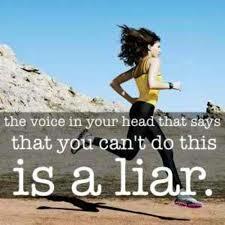 Two miles – that’s easy, I could do that, couldn’t I? They were a very hard two miles but I did it! I finished the 12 miles in 2hr 9mins, injury free and feeling pretty proud of myself! I was surprised by the time as I’d had a couple of little walks but averaged 10:48 pace and it’s left me feeling optimistic for the big day in just under 4 weeks time. Coming up this month, I’ll be running in the Chick’s Chase 10k this week and Flitwick 10k in a couple of weeks time. I’ve booked lots of races so am pretty sure I will easily smash my 12 race target for the year. This week has been one of reflection. 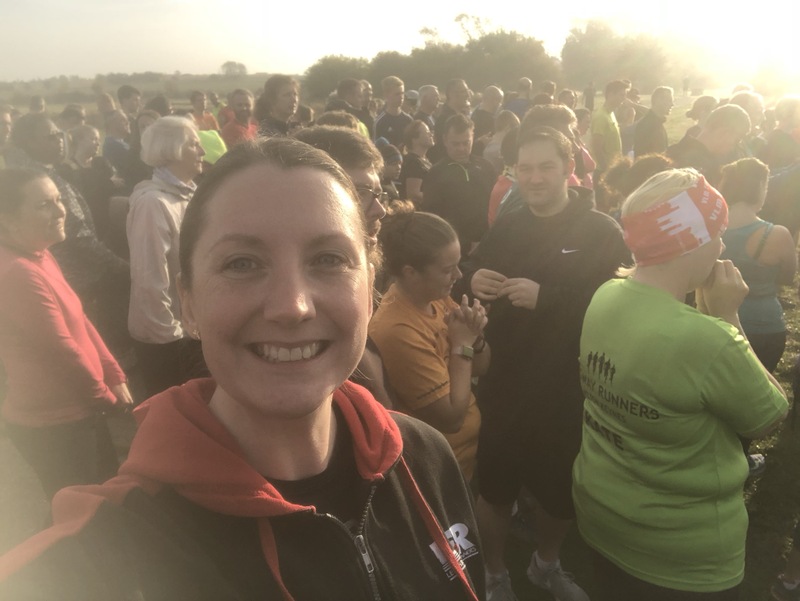 A year ago today I completed my first ever event, the Sports Relief 5k and graduated from the couch to 5k programme run by my local club, the Leighton Fun Runners. Tonight, I ran alongside the latest group of couch to 5kers, supporting them as they themselves tackled their first ever full 5k. It got me thinking how much I’ve changed since I completed it back then. I never set out to be a ‘runner’. I was at a time in my life of change and trying new things and also wanted to get a bit fitter. 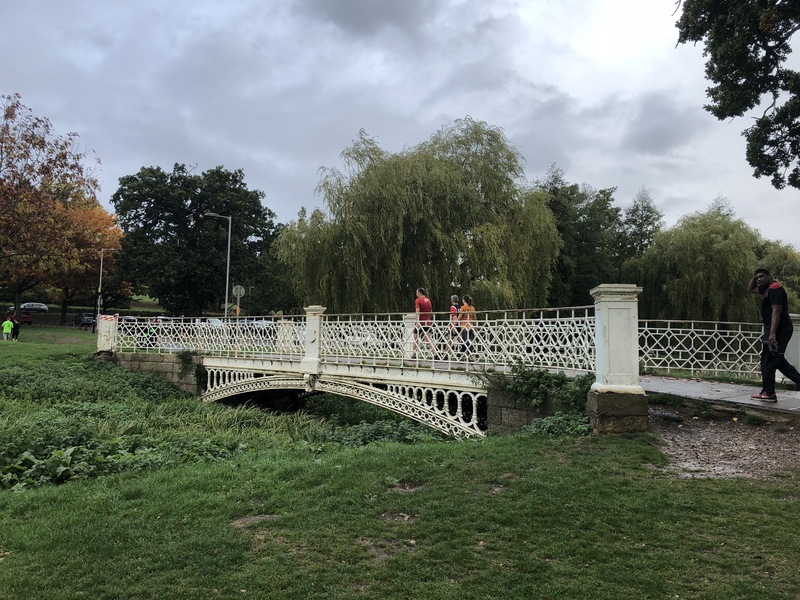 I joined the couch to 5K programme after hearing about it from an old school friend via social media and thought it would be a great way to get a bit fitter and maybe meet some new people. From the start, I never found it easy. I always approached each weeks task with a ‘I’m never going to be able to do this’ attitude which whilst I always ended up surprising myself, often made it a lot harder than it needed to be. I managed to reach the end of the programme and even signed up for membership of the club, still not really thinking of myself as a runner, but someone who was giving it a go occasionally. Shortly after I suffered an ankle injury which meant I completely stopped running and lost all confidence in my bodies ability to do it. It took me three months to gain the confidence to go back to club and I’m so glad I did. Last week I ran 5 consecutive miles under 10 mins and this weekend I completed a 10k race in my home town in 1:00:47, not quite a PB but given the ‘undulating’ nature of the course was an amazing achievement for me. The point is, my mind set has changed completely. 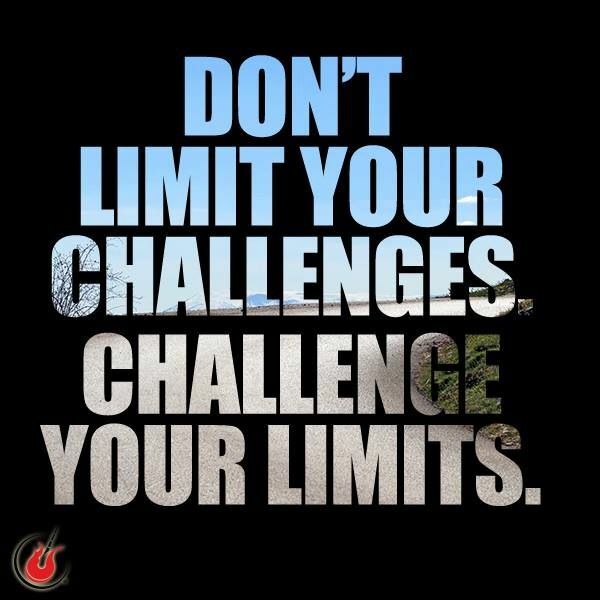 I’m now craving challenges and I am constantly pushing myself to achieve more. The last 6 months of running have seen me almost starting from scratch to training for a half marathon and setting myself new targets and goals every week. I don’t think I’ve ever been this motivated about anything before! Finish 10k in under an hour – my fastest so far has been 1:00:37!! Complete at least a 15 mile distance – Kinda forgot about this one but I’m sure after the first half we’ll give it a go. Trail running – make the most of all the lovely routes we have locally – I’ve booked the dirt half, a mostly trail half marathon and also organising a bluebell run in May in a local woods. PB’s – lots of them at all distances! 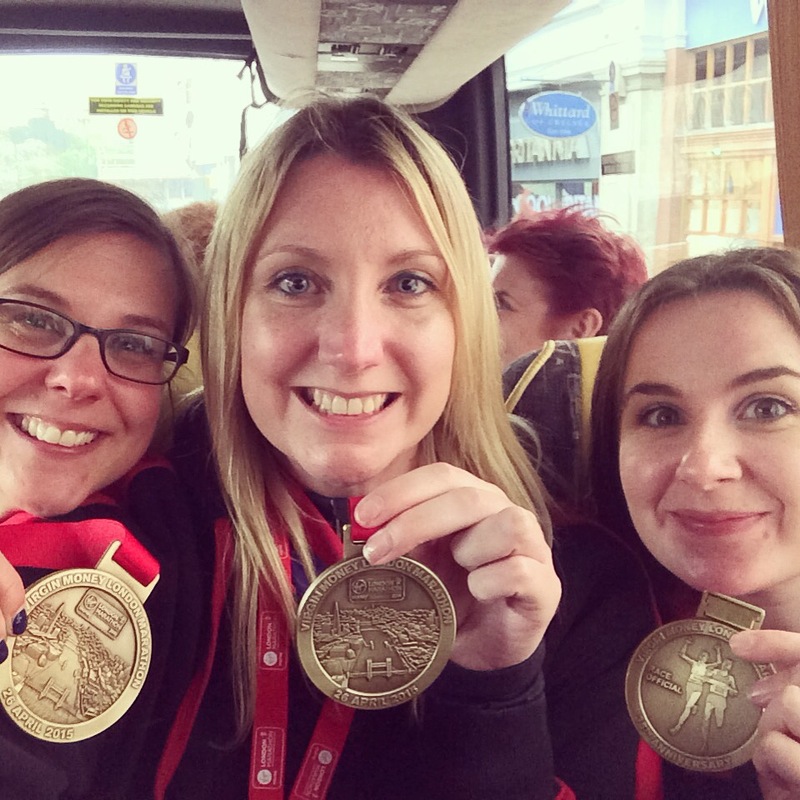 – I have smashed my 5k PB and am hoping to keep bettering that 10k time! I’ve still got a way to go on some of them but I’m pretty pleased with the progress so far! P.S. No bling this weekend but I did get a really cool Tshirt – here’s a few pics with my normally awful running face on!